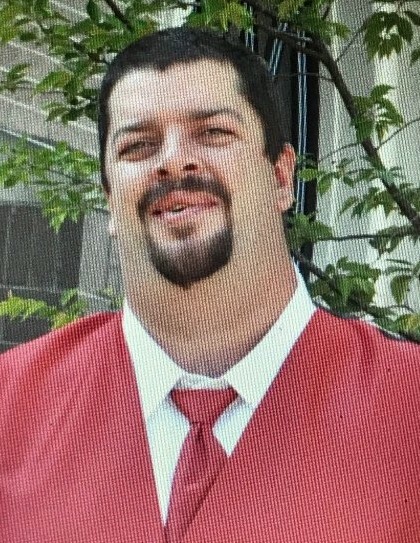 THOMAS DUANE SPIGNER, age 38 of Maplesville, passed away on Tuesday, October 23, 2018 at his home. He was born on February 10, 1980 in Clanton, son of Thomas Earl Spigner and Susan Edwards Spigner. He is survived by his daughters, Summer Spigner of Maplesville, Emily Spigner of Clanton, and Jadyn Spigner of Clanton; Parents, Thomas Earl and Susan Spigner of Maplesvile; Siblings, Janice (Lee) Miller of Clanton and Jason (Marissa) Spigner of Clanton; and numerous nieces and nephews. He is preceded in death by his grandparents, Eugene and Gertrude Spigner, and James H. and Hazel Edwards. Funeral services will be held on Saturday, October 27, 2018 from the New Harmony Holiness Church in Clanton at 2:00 pm with Rev. Teddy Chadwick officiating. In lieu of flowers, donations may be made to Southern Care Hospice in Clanton.